Patient Speculation: No Racing Today, But Possibly The Best Tip I Will Give Out This Year! No Racing Today, But Possibly The Best Tip I Will Give Out This Year! With no racing today and because I am a creature of habit, I found myself at a bit of a loose end with no eachway selections to find. However I suddenly realised that now would be the ideal time to give what I consider is one of the best tips that I will give this year. 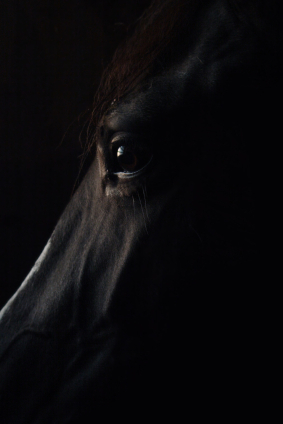 My tip is to take a look at and sign up to the dark horse of my portfolio lite, which is The High Class Equine tipping service, it is completely free for this year’s flat season and I am sure will prove to be just as profitable as all of the other members of the select group within the portfolio lite and benchmark portfolio's. 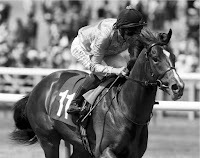 For those readers who don’t know what The High Class Equines area of expertise is (where have you been) , they concentrate on providing high quality tips for two-years-olds races. Your inbox will not be overflowing with selections but one thing you can guarantee is that they will be of the highest quality, very well researched and with a very high probability of success. The reason that I think now would be an ideal time to sign up to the service is that although the flat season starts at the beginning of April, Jason the person behind the High Class Equine service will not normally start sending any tips out until the start of May so as to allow himself time to see how the form and stats start to stack up for each and every horse. Not content with providing the tips, The High Class Equine Blog is full of useful information , so much so that I wrote this post on the subject when they won my blog post of the week award: My Blog Post Of The Week: It’s Just The Tip Of The Iceberg! I would advise anyone who wants to become a profitable punter to sign up to the service and spend some time browsing the blog, I’m certain that you won’t be disappointed. For those readers who are wondering what reward I will be getting for writing this post, the answer is; no financial reward whatsoever, it is just that I believe that if I can find and provide quality information for you my blogs readers, then you may just decided to visit my blog again from time to time. Thanks for your support. It is much appreciated. We are looking forward to a successful season and won't be leaving any stone unturned.